We know it’s long past Valentine’s Day but we’re still in the mood to talk about Love. 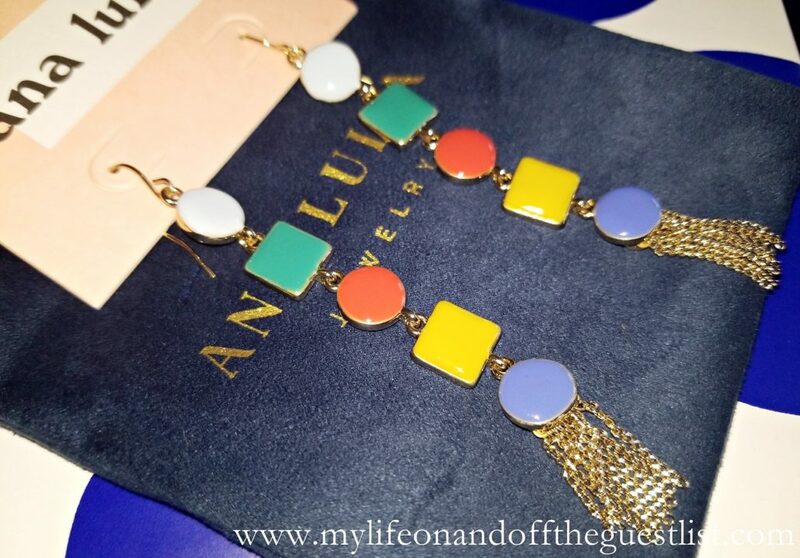 Specifically the outstanding Ana Luisa Jewelry Love Enamel Drop Earrings. Ladies, prepare for a dose of earring envy as you feast your eyes on the breathtaking, colorful and elegant pair of linear drop earrings. The stunning, hand-painted, gold Ana Luisa Jewelry Love Enamel Drop Earrings are dipped in 14k high-quality gold. These distinguished and creative gold plated earrings are ideal for a night out or anytime you want to play up a crisp white shirt. Playful yet elegant, the hand-painted earrings are made to get you noticed. We love everything about these stunners. 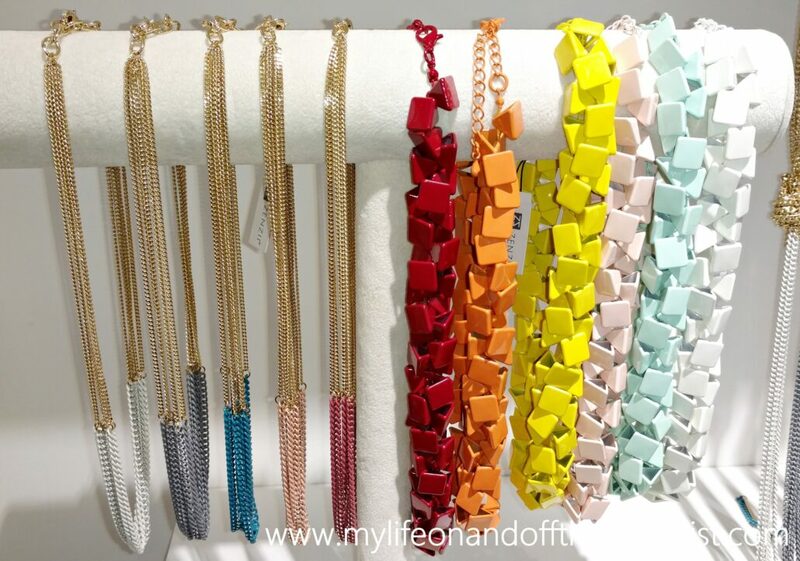 We love that it is colorful, vibrant and easy to match. We love the geometric shapes and the fact that it is unique and fun-loving; and that it’s a sophisticated take on the fringe earrings trend with it 1/2 inch of swaying metallic chains. The enamel and gold plated earrings measure 9.1cm in length; and weighs a mere 9.5g, so you won’t have to worry about them stretching your earlobes. 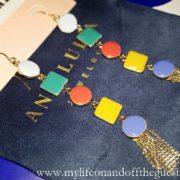 And because they believe in fair pricing, these Ana Luisa Jewelry Love Enamel Drop Earrings won’t break the bank. 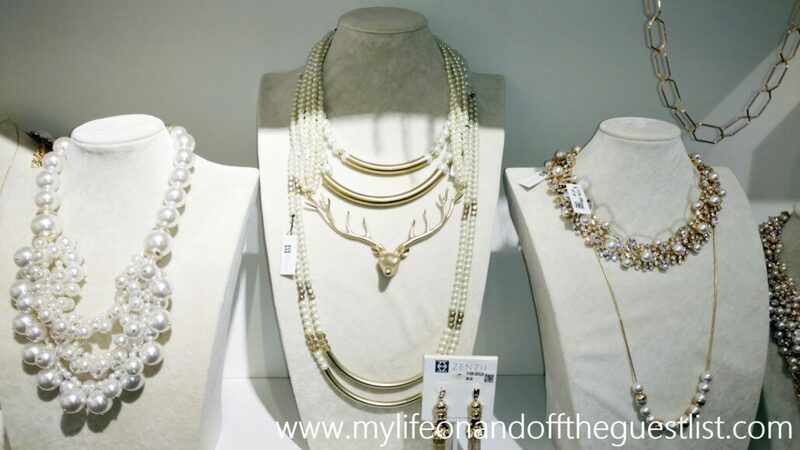 As we stated in our previous Ana Luisa Jewelry coverage, this is affordable luxury! While you’d expect to pay upward of $163.00 for these beauties, they can be yours for only $65.00. Thanks to Ana Luisa’s fair pricing, you say goodbye to the markup. Ana Luisa remains on a mission to bridge the gap between women and fine jewelry. They guarantee full transparency and fair prices on all their jewelry pieces, so you never have to worry about paying too much for luxury. We relish in the compliments we receive every time we wear the Love Enamel Drop Earrings. We’d love to hear your thoughts on the design, color and of course, what would you wear them with. Is there anything better than getting the best for less? We love saving money but we know it’s only really worth it when what you’re saving on are exceptional pieces. 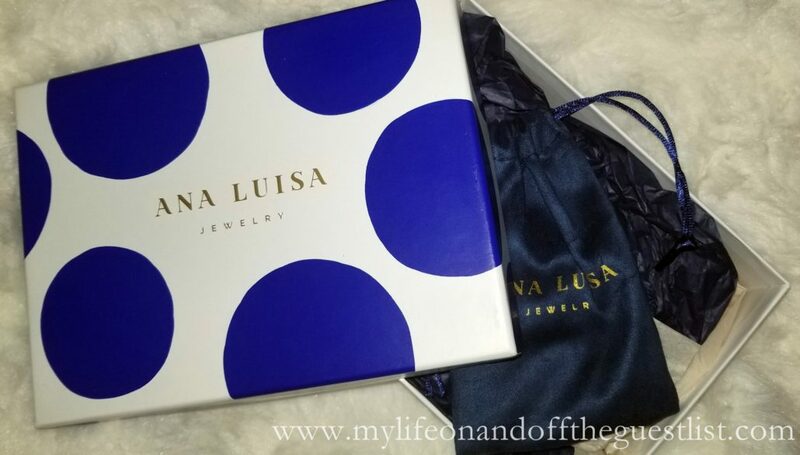 This is the idea behind the Ana Luisa jewelry brand, who offers everyday luxury jewelry for women. 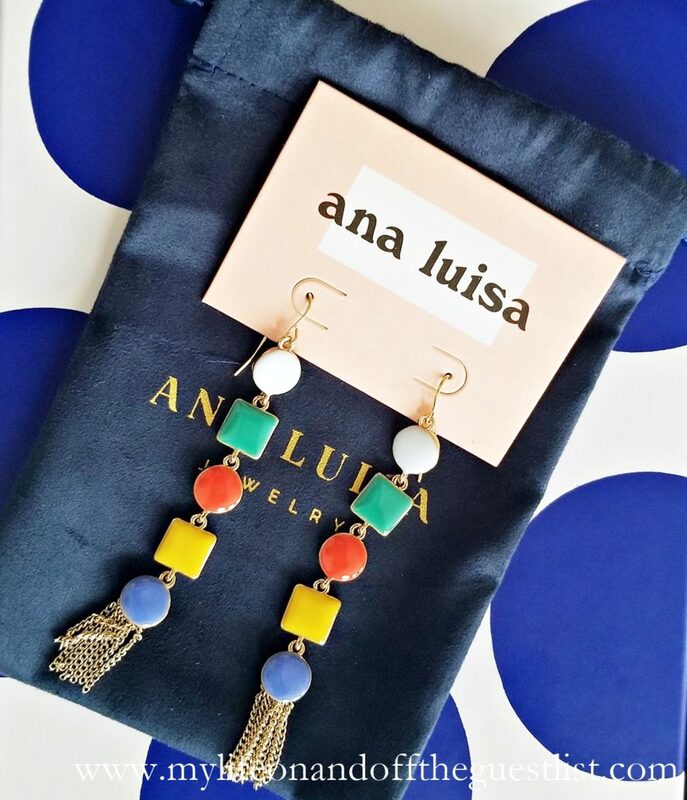 Unlike most luxury jewelry brands, whose prices reflect costs to the wholesale distributor, sales agent, marketing and retail markup, Ana Luisa offers a direct-to-consumer approach. 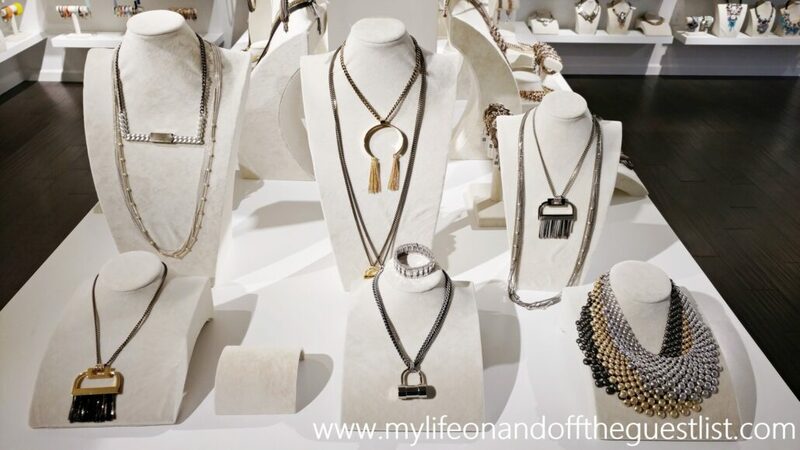 Their approach of in-house designers, responsible production practices, and an online selling method allows the luxury-loving woman to afford gorgeous, high-end jewelry without the high-end markup. 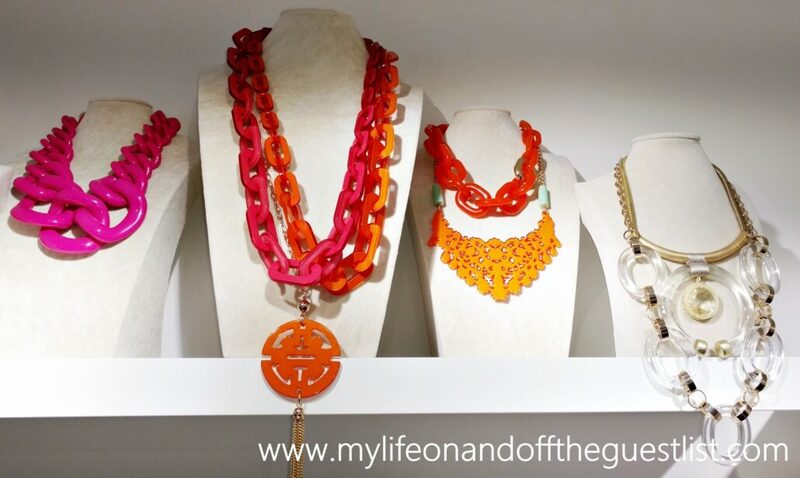 We couldn’t resist getting to know the Ana Luisa Jewelry and its beautiful jewelry options. Whether you’re looking for everyday essentials or statement pieces, this affordable luxury brand is what you’re looking for. Our introduction to Ana Luisa Jewelry began with three pieces: the Flower Stud Earrings in Iris Pink, the Tessa Friendship Bracelet in Pink, and the Mona Hoop Earrings. Flower Stud Earrings, $75.00 – a 14K Gold plated, delicate flower stud earrings with a natural pearl and an artistic enamel layer that is individually hand painted. Tessa Friendship Bracelet, $59.00 – a 14k gold dipped friendship bracelet with a soft cotton ribbon braided with a delicate gold plated chain. Mona Hoop Earrings, $69.00 – elegant, 14K gold-dipped studded hoop earrings with a textured ripple design. Out of the three pieces, the Flower Stud Earrings were our favorite (it was love at first sight). We generally go for more statement earrings but there’s something about these graceful beauties that just stands out to us. They have a nice weight to them, they don’t pinch or weigh your lobs down, and they’re wonderfully chic. The first item we actually wore was the Mona Hoop Earrings; we love the idea of studded hoop earrings, it’s a great fusion of the two design details and we think a stylish addition to the earring category. Lastly, the Tessa Friendship Bracelet is a lovely and sophisticated version of the iconic childhood bracelet. Unfortunately, we need to get an extender because chubby wrists are a thing but once we get it, we’ll be gleefully wearing the Tessa. 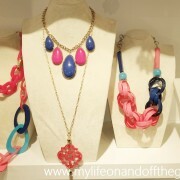 This was our intro to Ana Luisa Jewelry and we can’t wait to share other favorite pieces with you. 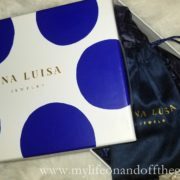 Learn more about Ana Luisa on their blog. Just in time for Graduation, and Father’s Day, Kmart is giving you the gift of luxurious time at shockingly affordable prices. 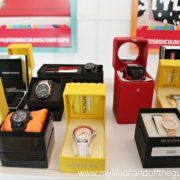 If you’re a fan of high-end timepieces such as Bulova, Invicta, Red Line, TechnoMarine, ToyWatch, Racetrack, Swiss Legend, Lucien Piccard, and much more, then run, don’t walk to Kmart. Why? 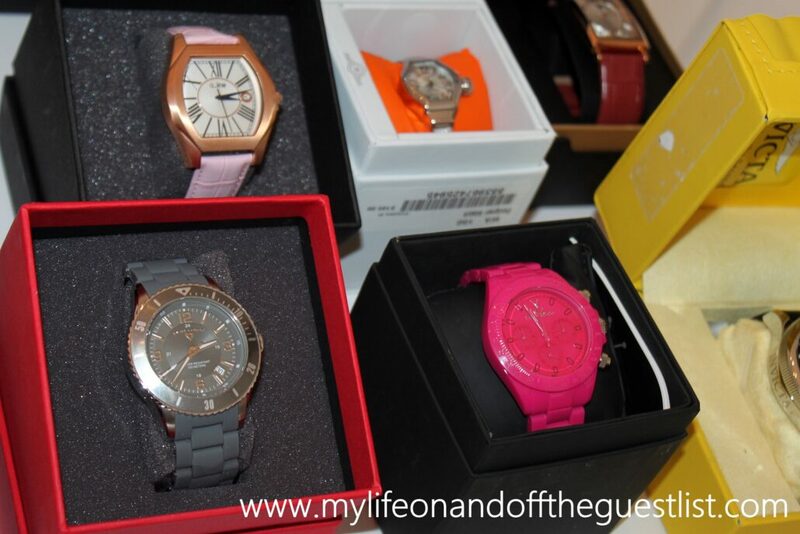 Thanks to an amazing one-time deal you can score all these high-end watches at Kmart. These luxury watches are available at up to 90% off of their listed retail price for a very limited time. In other words, once they’re gone, THEY. ARE. GONE. What better gift to give than the luxury of time? 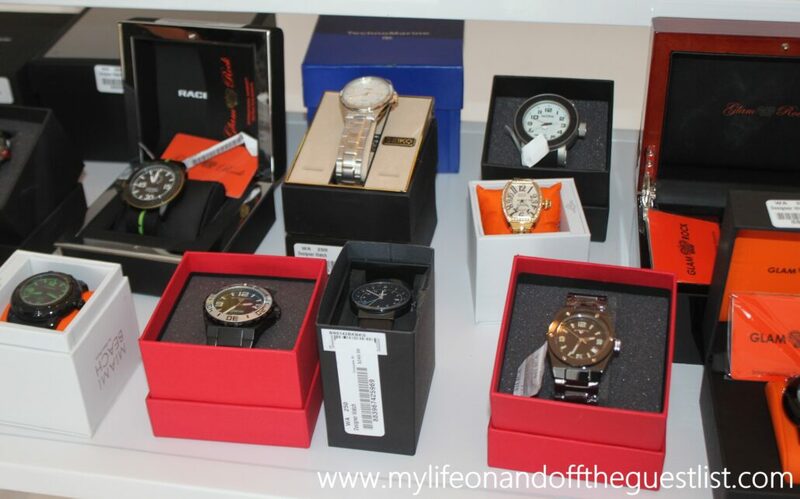 Imagine paying only $50.00 for a $500.00 Invicta watch, or snagging a $900.00 Swiss Legend watch for only $89.00! Starting today, Saturday, June 11th at Kmart…..YOU CAN!! You will never find another great deal or the opportunity to get your hands…er…wrists on some of these incredibly high-end watches. Thanks to Kmart amazing continuous insight into offering members and customers unique deals, you can take advantage of this one-time inventory buyout, which will feature more than 180,000 different luxury watches available for sale, to get the perfect watch for dad, your grad, or yourself, and because this deal is limited, no one will know you got these amazing high-end watches at Kmart, unless you tell them. 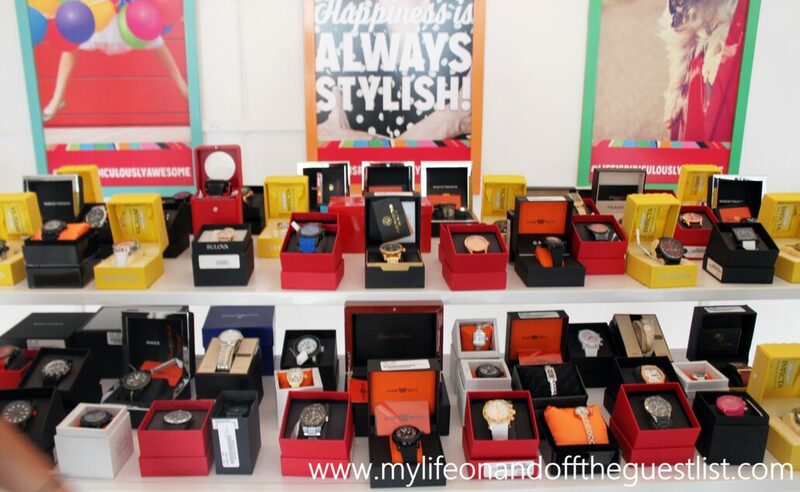 This is sure to be the biggest watch blowout sale ever! You’d be remiss to not take advantage of this. In a time when we all want luxury without paying the luxury price, this once in a lifetime savings opportunity is the perfect time to do so. These watch brands are known for their craftsmanship, brand history, and legacy, and innovation. Every style is an investment and a classic that will last you for years to come. 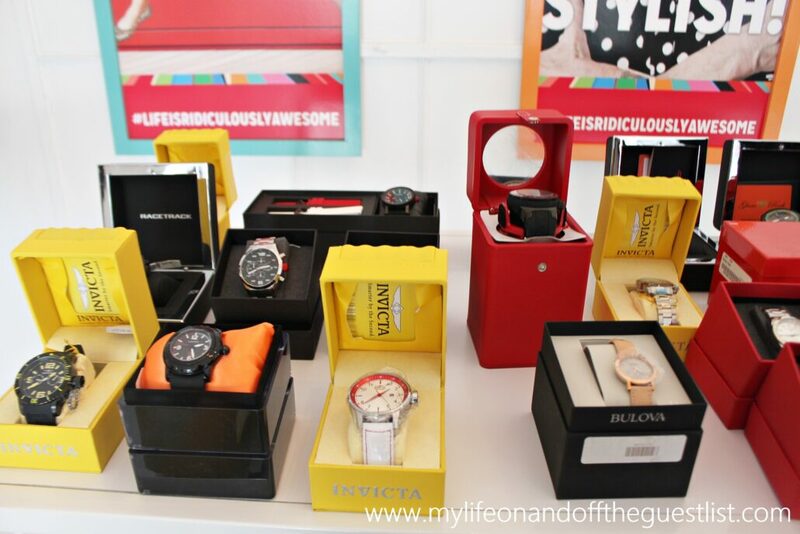 Will you be taking advantage of the very low prices of these high-end watches at Kmart? As you may or may not have recently heard, the bi-annual fashion weeks are headed towards being an in-season event. While the fashion and accessory industries have several items that are seasonless, there are many stylish things we have to patiently wait for to be in season. Luckily the jewelry and accessory label we’re highlighting today is not one of those. Zenzii Jewelry has always been way ahead of the game, offering seasonless pieces that you can enjoy year’ round. 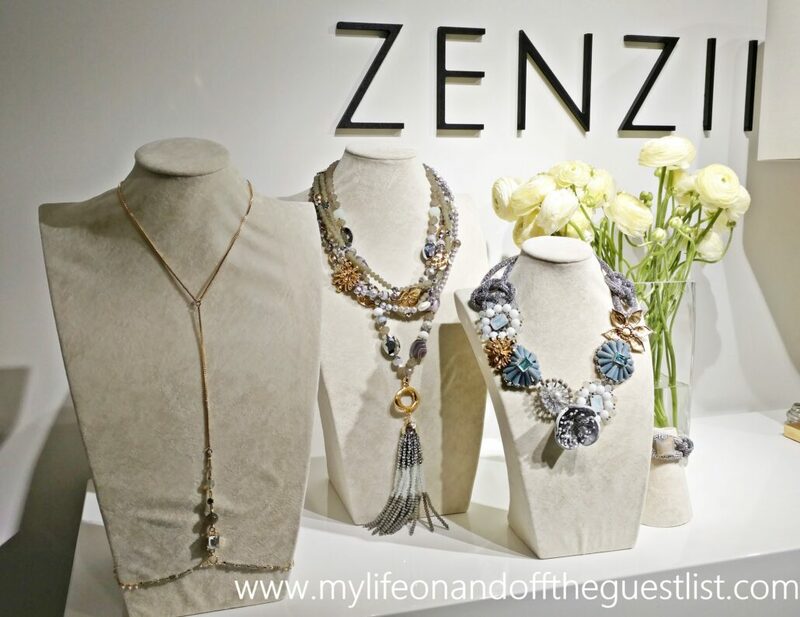 We had the pleasure of being introduced to the Zenzii Jewelry and Accessories Collection by a very stylish friend of ours, and to say it was love, at first sight, is an understatement. 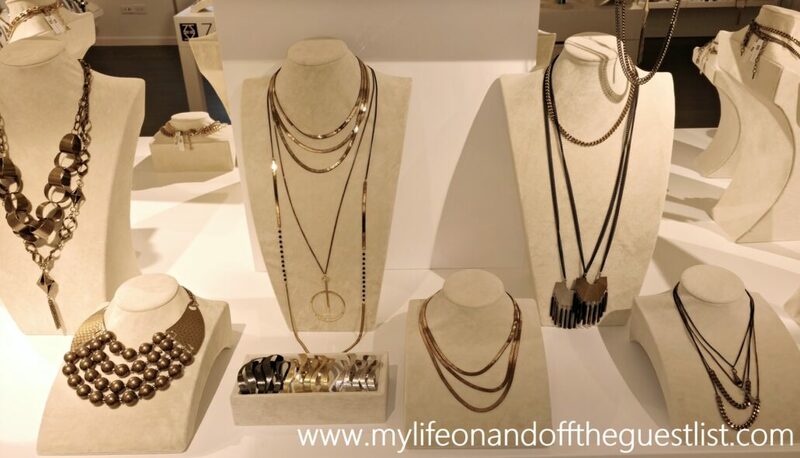 The stunning range of jewelry is the brainchild of very stylish couple, Shawn and Jenny Li, who combined their individual design ideas (her fashion, him analytical) to create this beautiful collection of striking and impactful jewelry. 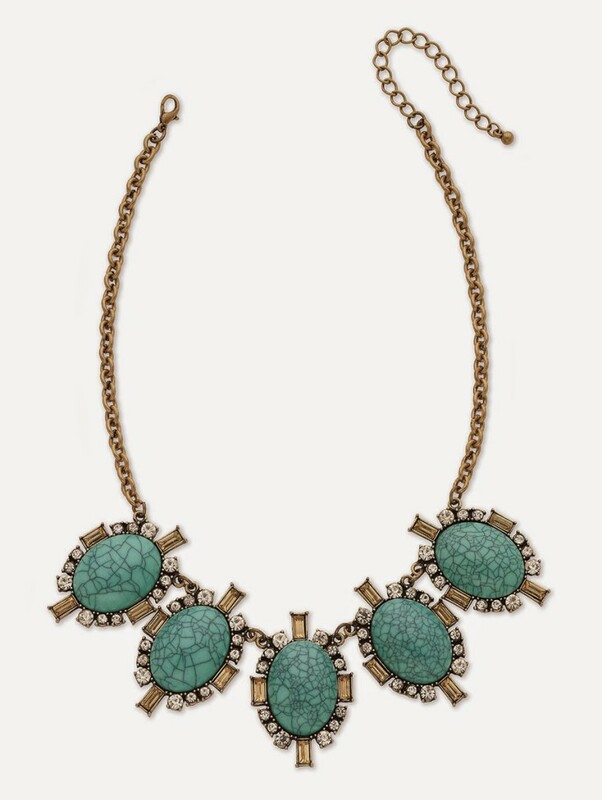 Zenzii is teeming with bold, statement jewelry that screams of regality, and celebrates the woman that is confident in her beauty and style. We see each Zenzii piece as a crown, a spotlight on the details that shows off a women’s personality, whether she’s into bold, bright pieces, neutral or classic tones. 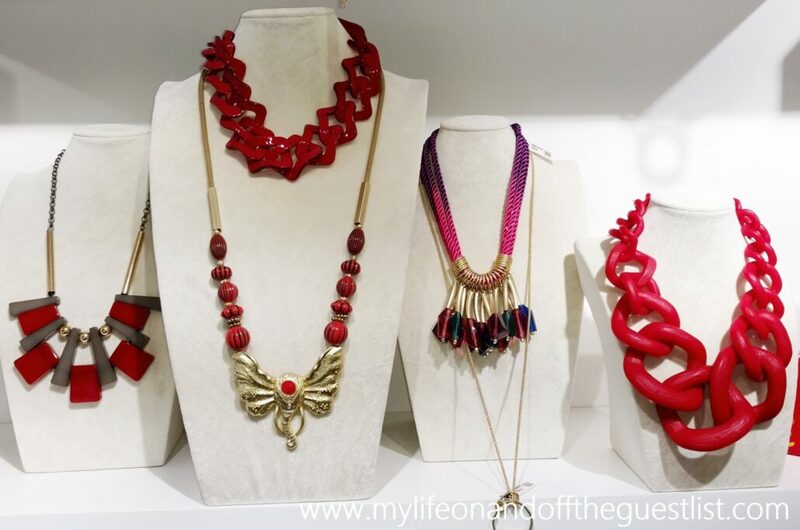 You can’t help but be enamored and completely under the spell of these pieces fashioned in metals, pearls, resin, and fabric, many with beads and gemstones adding even more to their stunningly ostentatious design details. The true beauty and reason for the success of the Zenzii Jewelry and accessories brand is, it does not rely on just one design aesthetic, instead focusing on what makes a woman happy……we love to be noticed of course, and to celebrate our distinct style. The line does a fantastic service of offering women a choice of statement, and more delicate pieces. It also absolutely has a great selection for the women who fall somewhere in between those two style personalities. We’ve personally tried to select our favorite pieces but that is an impossible feat when every piece of jewelry is a standout. 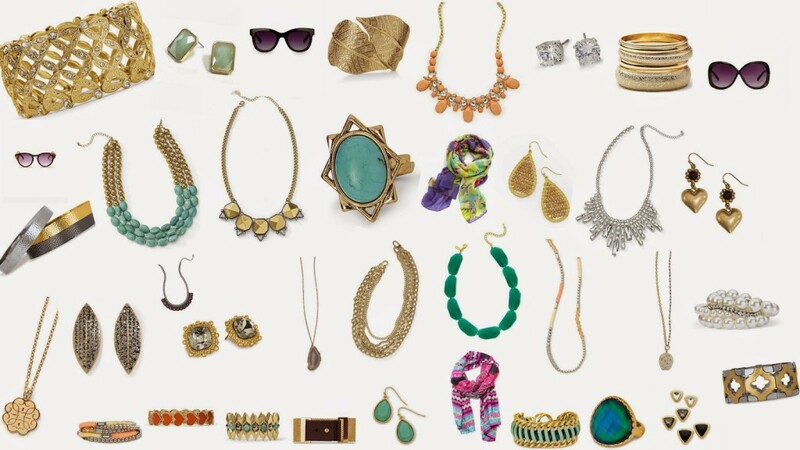 What’s even more amazing about Zenzii Jewelry and Accessories’s is its price point. 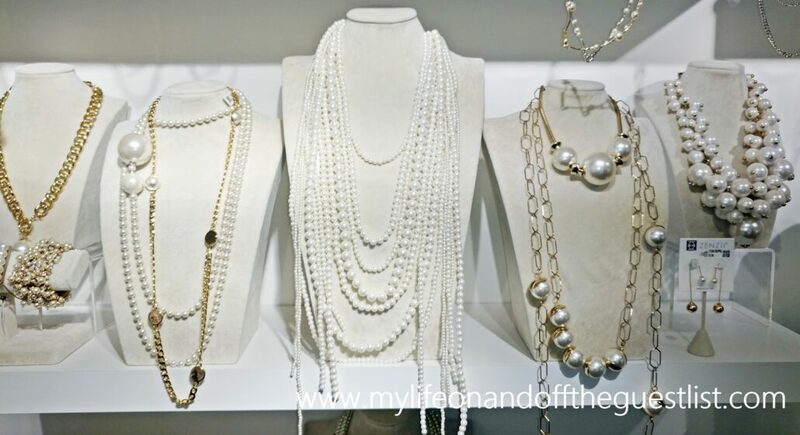 Their classic collection ranges from $20.00-$150.00, and their high-end, luxury collection ranges from $75.00 – $300.00. Both collections are available on www.zenzii.com. Are you ready to enjoy seasonless style? Cookie Lee’s Fall 2014 Collection Helps You Get The Look For Less! Cookie Lee offers you great styles that help you keep up with the trends or start your own, with prices that won’t give you buyer’s remorse later. As a person who has suffered buyer’s remorse on many occasions, this is great news for me and my wallet. But…it gets even better! Cookie Lee has been in the business of direct sales for 23 years – and they are now offering e-commerce sales for the first time ever!! 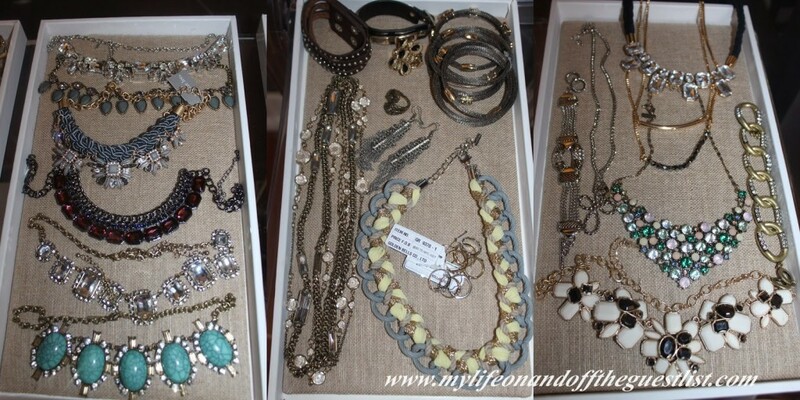 You can now shop for all of their fabulous accessories from the comfort of your home. Online sales now make Cookie Lee as accessible as they are affordable! 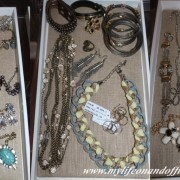 Visit them at Cookielee.com to shop quality accessories for less! https://mylifeonandofftheguestlist.com/wp-content/uploads/2015/10/Cookie-Lee-fall-2014-www.mylifeonandofftheguestlist.com_-1024x512.jpg 512 1024 Ashley Gaskin https://mylifeonandofftheguestlist.com/wp-content/uploads/2013/04/on-an-off-1030x151.png Ashley Gaskin2014-10-13 15:00:002015-10-12 17:15:43Cookie Lee's Fall 2014 Collection Helps You Get The Look For Less! While many of us are really looking forward to Spa Week to get to enjoy some spa services in this crumbling economy, there is a ray of light for those of us on a budget that are trying to enjoy a Spa-like bath and relaxation at home. 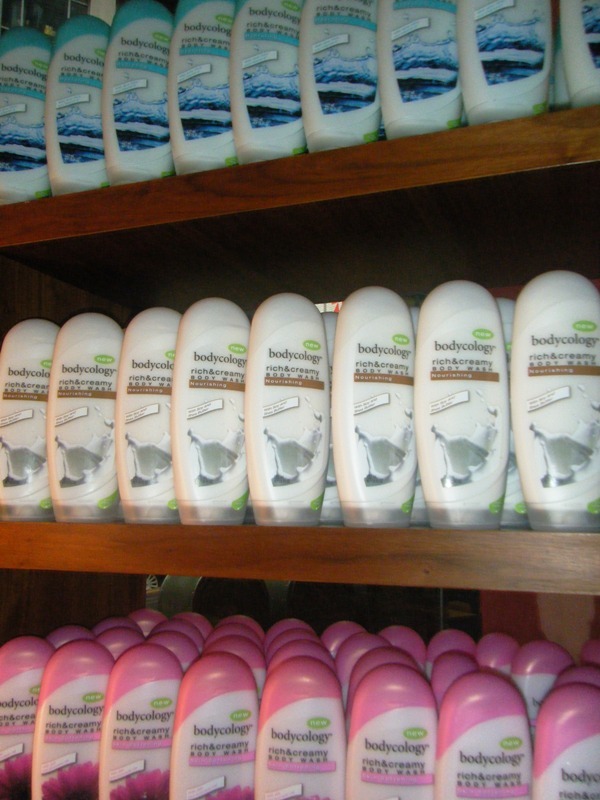 Welcome to the world of Bodycology and Dr. Teal’s Therapeutic Solutions, who held a preview at Spa Butterfly to preview their new products. 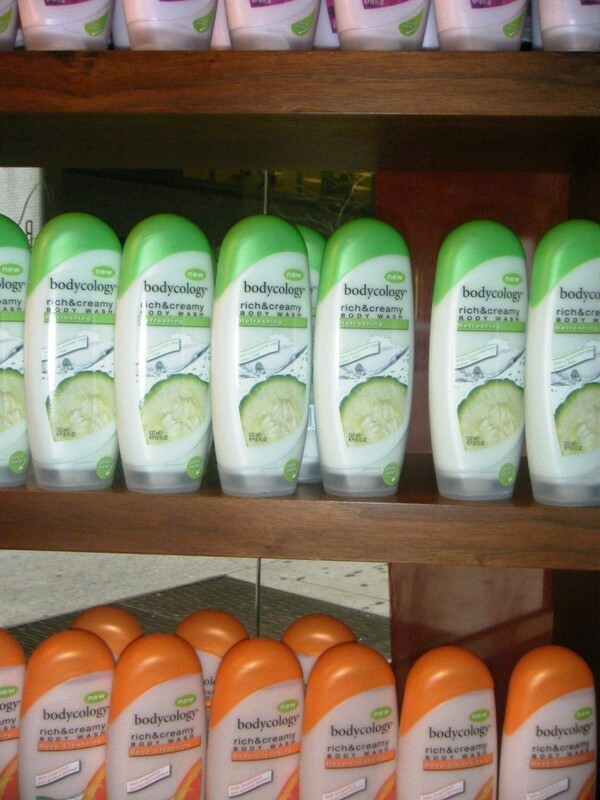 After a wonderful and much needed massage, I was introduced to the products. 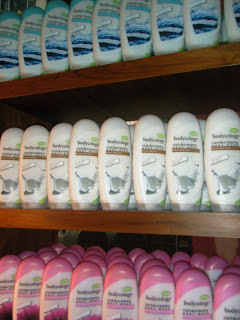 Let’s begin with the affordable, luxurious bath and body products from the ridiculously wallet friendly Bodycology. 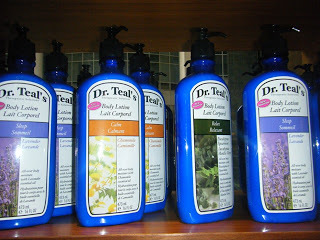 I have been currently using the Deep Cleansing, which has Grapefruit and Apricot Extract. 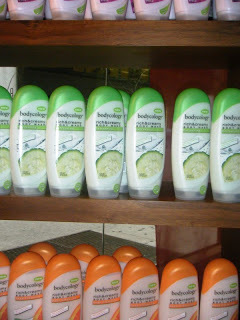 It, like all the other formulas, are “infused with Silk Extracts and Avocado oil into it’s skin softening formula while Aloe Vera and Vitamin E are used for Hydrating and Soy Milk and Shea Butter are blended for Nourishing.” They retail for a very low $4.99 and are available nationally at such stores as Walgreens and Bed, Bath & Beyond. This miracle product is available in Sleep (Lavender), Sensuality (Amber Vanilla), Rejuvenate (Mandarin Lime), Relax (spearmint) and Calm (Chamomile). 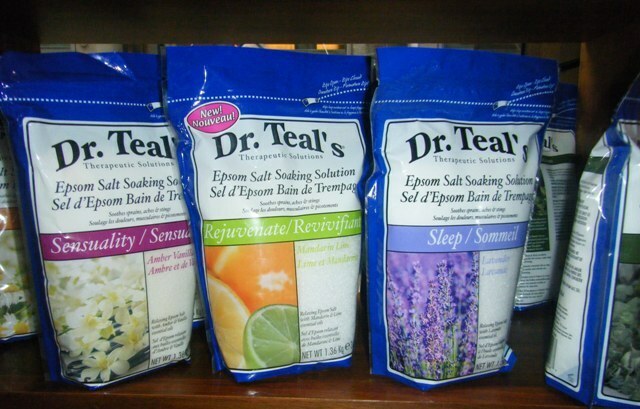 A 3lb bag retails for only $4.99 – quite inexpensive for putting for body at ease and stress free. 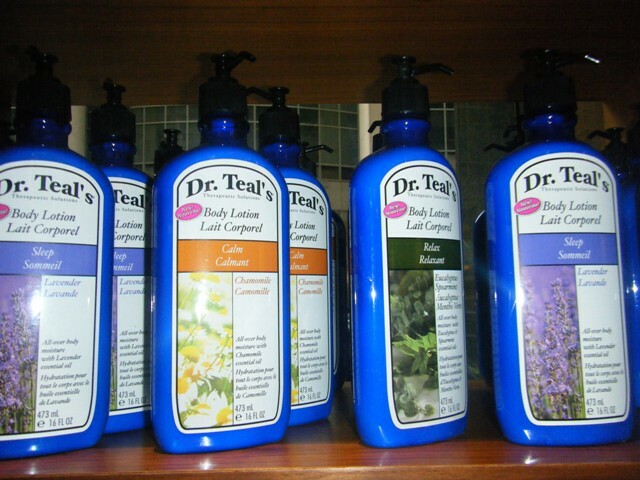 An extension of the above Epsom Salt Soaking Solution is the Dr. Teal’s Body Lotion, available in the same scents, not only will you be completely moisturized, it will also extend the life of your soaking solution scent. The product I have really tried ( and enjoyed) is the Peppermint Foot Soak (launched March 2010) – and oh how I wish I had this during fashion week. 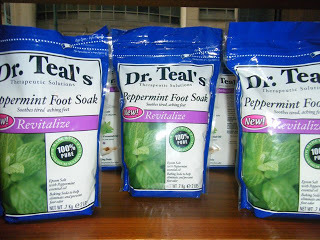 I got instant gratification after soaking my feet. After a particularly heavy event laden day running from event to event (in heels), I was beyond happy to rip into the Peppermint Foot Soak. You know that feeling when your feet hurt so bad it’s throbbing or should I say pulsating. If I could somehow sleep with my feet soaking, I would have but it was unnecessary since my feet started feeling better after only 5 minutes and back to 100% after 10 minutes – Hallelujah! For a mere $3.99, you could be singing its praises too.